– 1 \ 2019: “Three” is closing 10 weeks in no.1 on Israeli bestsellers lists! “Three”, the new stand-alone novel by Dror Mishani, published in November 2018 in Hebrew (Achuzat Bayit), is closing 10 weeks in the 1st place on Israeli bestsellers lists. The book was recieved with raving reviews, defining it as a breakthorug in Israeli fiction and the best novel written by Mishani so far. A break from the Avraham novels, “Three” is telling the stories of three women: Orna, a divorced single-mother looking for a new relationship; Emilia, a Latvian immigrant on a spiritual search; and Ella, married and mother of three, returning to University to write her thesis. All of them will meet the same man. His name is Gil. He won’t tell them the whole truth about himself – but they don’t tell him everything either. Translation rights for the novel are sold by the Liepman agency and it will be published in English, French, German, Italian, Spanish and Catalan in 2019 and 2020. On February 6th a special event for the novel will be held in Mishkenot Shaananim in Jerusalem. – 11 \ 2018: “Three” is no.1 on all Israeli bestsellers lists! “Three”, the new stand-alone novel by Dror Mishani, published earlier this month in Hebrew (Achuzat Bayit), has reached 1st place in all Israeli bestsellers lists: the independant bookshops list; the Steimatzky bookchain list; and the list for digital sales. The book was recieved with raving reviews, defining it as a breakthorug in Israeli fiction and the best novel written by Mishani so far. 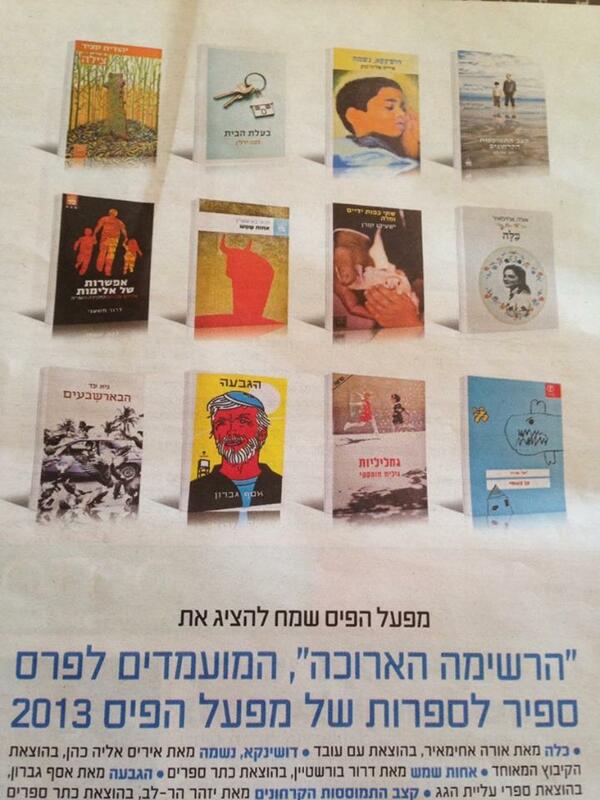 “Three”, the new stand-alone novel by Dror Mishani, is published today in Hebrew (Achuzat Bayit). A short break from the Avraham novels, “Three” is telling the stories of three women: Orna, a divorced single-mother looking for a new relationship; Emilia, a Latvian immigrant on a spiritual search; and Ella, married and mother of three, returning to University to write her thesis. All of them will meet the same man. His name is Gil. He won’t tell them the whole truth about himself – but they don’t tell him everything either. 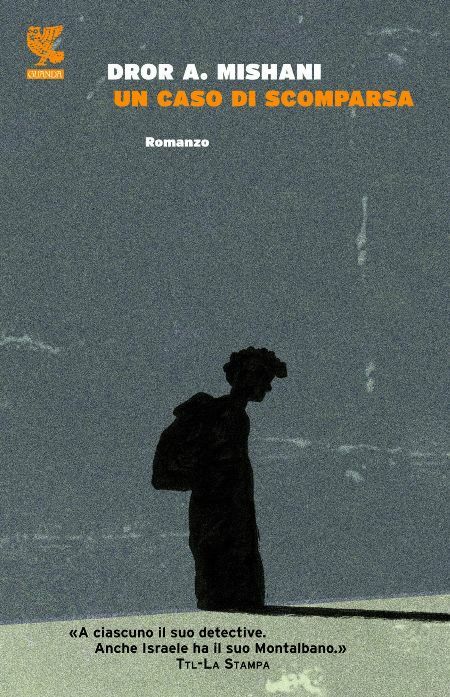 Translation rights for the novel were sold by the Liepman agency and it will be published in English, French, German, Italian and Spanish in 2019 and 2020. Crime fiction magazin, “813”, chose Avraham Avraham to the list of 100 best charcters in Detective fiction. The list, published in the September 2018 issue of the magazin, is chronoligcally ordered, opens with E. A. Poe’s Auguste Dupin, continues with Holmes, Poirot, Maigret, Spade, Marlowe, Beck, Wallander and many others, and finishes with inspector Avraham Avraham, the israeli detective who first apperaed in Dror Mishani’s “The Missing File”. 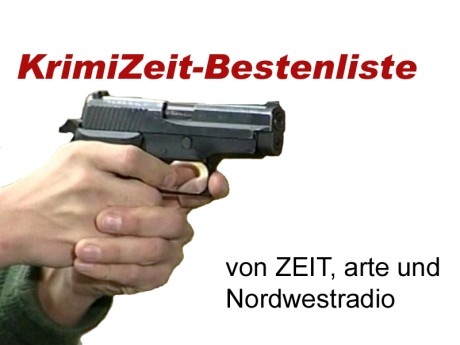 The third Avraham novel, “The Man who wanted to Know Everything” (In German: “Die Schwere Hand“, and in French “Les doutes d’Avraham“), is included in the prestigious KRIMIBESTENLISTE list of the 10 best crime novels in Germany in the 3rd place (see the full list here). The novel was already included in the list – published monthly in FAZ (Frankfurter Algemine Zeitung), and chosen by crime experts and lovers from all around Germany – in February, when it was no. 5. “Die Schwere Hand”, translated by Markus Lemke and published by Zsolnay, follows the first two Avraham novels, that were included in the list too. “Die Schwere Hand” was also chosen to another prestigious list in Germany: LitProm list of the best novels translated to German from Asia, Africa and South America, published 4 times a year. The first Avraham novel, “The Missing File”, was published earlier this month in Russian too. It’s translated by Galina Segal and published by Eksmo , that will also publish soon the second novel in the series, “A Possibility of Violence”. “Fleuve Noir”, the French cinematic adaptation of the first Avraham novel, “The Missing File” (or “Une Disparition inquietante” in French), was screened over the weekend, for the first time, in Beaune’s international festival of films policiers. The film was directed by French filmaker Erick Zonca and the two leading actors are Vincent Cassel and Romain Duris. Before the screening, the film’s official poster was presented. – 4 \ 2018: The Israeli TV series based on the Avraham novels is almost ready! The Israeli TV Series based on the first two Avraham novels (“The Missing File” and “A Possibility of Violence“) is almost ready – the shooting of the 8 episodes of the first season is now completed and the screening is expected soon! The series, produced by Gum Films for the No. 1 Israeli broadcast netwrok Keshet (“Hostages”, “False Flag” etc. ), is written by screen writer Erez Kav-El and directed by Oded Davidof. Israeli actor Moris Cohen will be Avraham Avraham and here’s a first glimpse on how Avi will look like. Is that how you imagined Avraham? The third Avraham novel, “The Man who wanted to Know Everything” (In German: “Die Schwere Hand“, or “The Heavy habd”), is included in the prestigious KRIMI-ZEIT list of the 10 best crime novels in Germany (see the full list here). The list, published monthly in FAZ , is chosen by crime experts and lovers from all around Germany. “Die Schwere Hand”, translated by Markus Lemke, is ranked no. 5 in the list in February – and follows the first two Avraham novels, that were included in the list too. The third Avraham novel (“The Man who wanted to know everything”) is published in Germany today. The novel, entitled the “Die Schwere Hand”, is published by Zsolnay and translated by Markus Lemke. Following the novel’s publication, I’ll come to a redaing tour in Germany in March (details to follow). The ci nematic adaptation of the first Avraham novel, “The Missing File” (“Une disparition inquietante”) will be during 2018. The movie, “Fleuve Noire“, is written and directed by French film maker Erick Zonca (“La vie revee des anges”) and the cast includes actors Vincent Cassel, Romain Duris and Sandrine Kiberlain. More information about the movie here. Later in 2018, the Israeli TV series based on the Avraham novels will be released too. – 2 \ 2017: The first Avraham novel now out in Brazil! The first Avraham novel, “The Missing File”, is published today in Brazil. It is translated from Hebrew by Paulo Geiger and published by Companhia das Letras. To buy it on Amazon Brazil click here. – 11 \ 2016: “The Man who wanted to know everything” out in the US – and is on PW’s books of the week list with a starred review! The third Avraham novel, “The Man who wanted to know everything”, is published today in the US (HarperCollins; translated from Hebrew by Todd Hasak-Lowy) – and is on PW’s books of the week list. The novel recieved a starred review, claiming that “Mishani artfully alternates perspectives to ratchet up the tension in his excellent third procedural featuring introspective Israeli police superintendent Avraham Avraham (…) Fans of Ruth Rendell and P.D. James will be pleased by the nuanced view of human nature” (read the full review here). The third Avraham novel, “The Man who wanted to know everything”, was published in October in France. It’s title is “Les Doutes d’Avraham” (Avraham’s doubts) and as the previous two novels in the series, it’s published by Seuil and translated from Hebrew by Laurence Sendrowicz. “The Man who wanted to know everything”, the third Avraham novel, recieved a starred review on Publishers weekly, 2 months before its publication in the US (November 8th 2016). “Mishani artfully alternates perspectives to ratchet up the tension in his excellent third procedural featuring introspective Israeli police superintendent Avraham Avraham”, the review opens, summing up with this: “Fans of Ruth Rendell and P.D. James will be pleased by the nuanced view of human nature” (Read the full review here). 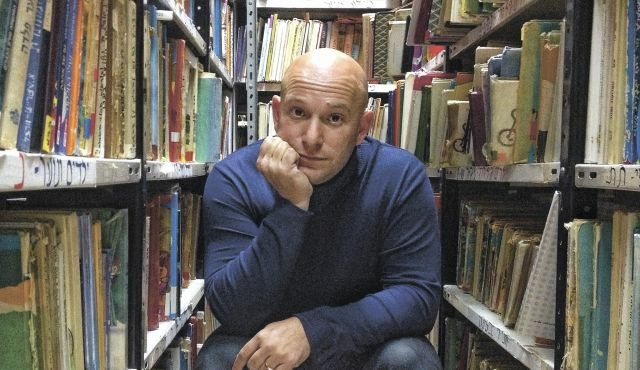 “The Man who wanted to know everything” was translated to English by Todd Hasak-Lowy and will be published by Harper, as the two previous novels in the series. “The Missing File”, the first Avraham novel, is on BOOKRIOT’s 100 must-read Mystery&Crime novels around the world list, published this week. The list, comprising of 100 crime classics from all over the world, includes, among others, novels such as “The Murder of Roger Ackroyd” by Agatha Christie, “Arthur and George” by Julian Barnes, “I remember you” by Yrsa Sigurðardóttir, the Millenium trilogy by Steig Larsson, the Harry Hole novels by Jo Nesbo and the Konrad Sejer series by Karin Fossum. The full list is here. – 7 \ 2016: “The Man who Wanted to know” is now out in Polish – and “The Missing File” in Czech! 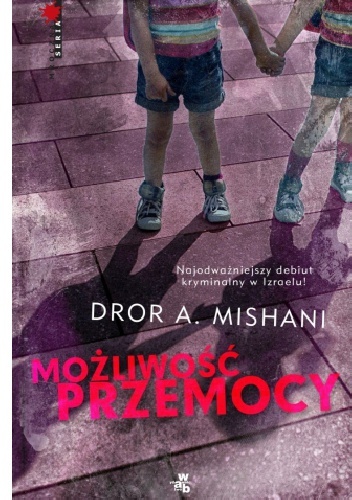 “The Man who wanted to know”, the third Avraham novel, is now available in Polish. It was translated by Anna Halbersztat and published by the Mroczna Seria (serie noir) of W.A.B, under the name “Człowiek, który chciał wszystko wiedzieć”, to great early reviews (that you can read, in Polish, here and here). In the end of August I will attend the literary festival in Sopot, and will discuss the book and the series with my Polish readers (the festival’s program is here). 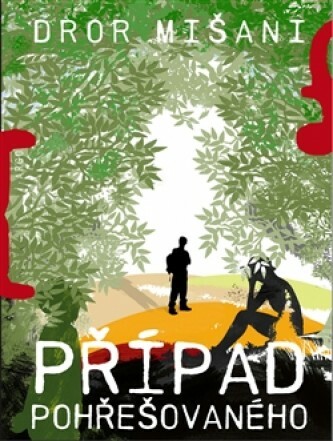 Earlier this month, the first Avraham novel, “The Missing File”, was first published in Czech – translated from Hebrew by Jindrich Vacek, and published by Argo publishing house (the title is: Případ pohřešovaného). – 6 \ 2016: “The Man who Wanted to know” is published in the UK today! “The Man who wanted to know”, the English translation of the third Avraham novel, is published today (June 2nd) in the UK (Riverun; Translated to English by Todd Hasak Lowy). Mazal Bengtson doesn’t know what her husband was doing on the night of the storm. His search for a job is still hopeless – his moods even more unpredictable. But she had believed he would never leave her to sleep alone again. Inspector Avraham Avraham doesn’t know how to begin his first murder case. The only clue is a witness who saw a policeman walk down the stairs after it happened. But no policeman was sent there that day. What both of them do know is something about the victim’s past. They haven’t yet realized – but this holds the key to understanding not just the murder, but stranger events; seemingly small, but unforgettable. For the things that happen in a relationship – in a long marriage, under strain – may not always be against the law. And as desperate as Avraham is to solve the unhappiness of his victims’ lives, he cannot mend what he can never truly know. D. A. Mishani has broken ground with his Avraham series. Inspired by his lifelong study of detective literature, he has created an Inspector of flawed humanity who, uncovering the crimes behind closed doors, takes us on a journey within ourselves. Deeply moving and beautifully written, they are the first crime novels to be shortlisted for Israel’s biggest literature prize and are published in eighteen countries. 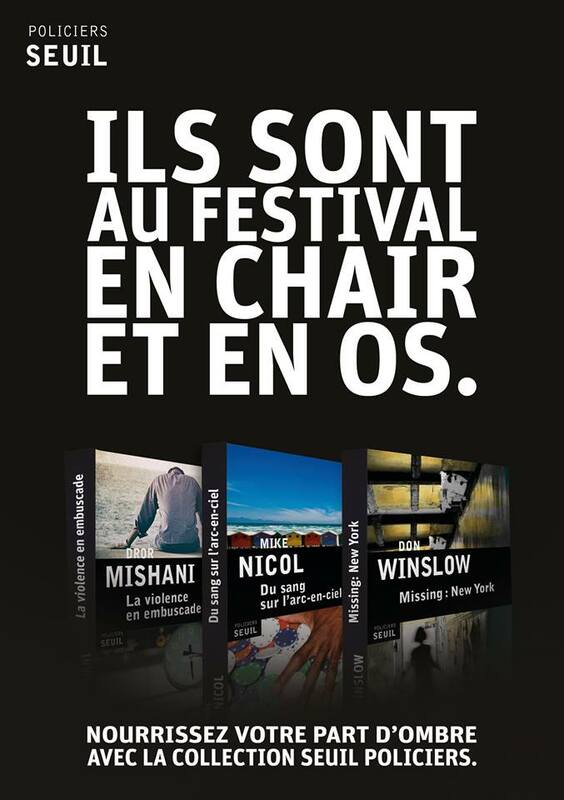 The shooting of the French film adaptation of the first Avraham novel, “The Missing File” (“Une Disparition inquietante”, translated to French by Laurence Sendrowicz and published by Seuil and Points), will start this April in Paris. The film is directed by filmaker Erick Zonca and the cast includes Gerard Depardieu (in the role of the detective), Romain Duris and Sandrine Kiberlaine. Last month the novel recived in France the Grand Prix du meilleur Polar des lecteurs des Points. The prize’s jury, comprised of 40 readers and 20 independent bookshop owners, has chosen “Une Disparition inquietnate” to be the best thriller of 2015 out of a shortlist of 9 novels. Among previous winners of the prize: Tana French, Thomas H. Cook and Karim Miske. To the full article about the movie’s shooting, click here. – 1\2016 “The Missing File” recieves the Grand Prix du meilleur Polar de Lecteurs de Points! 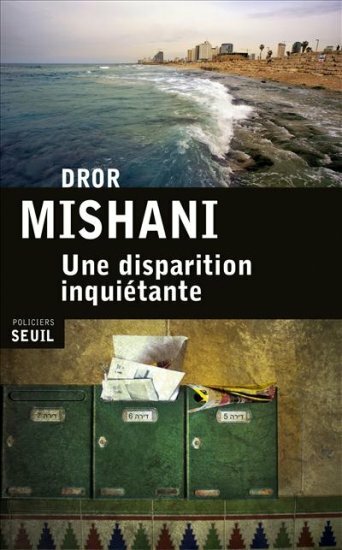 “Une Disparition inquietante”, the French translation of the first Avraham novel (translated to French by Laurence Sendrowicz) recived the Grand Prix du meilleur Polar des lecteurs des Points. 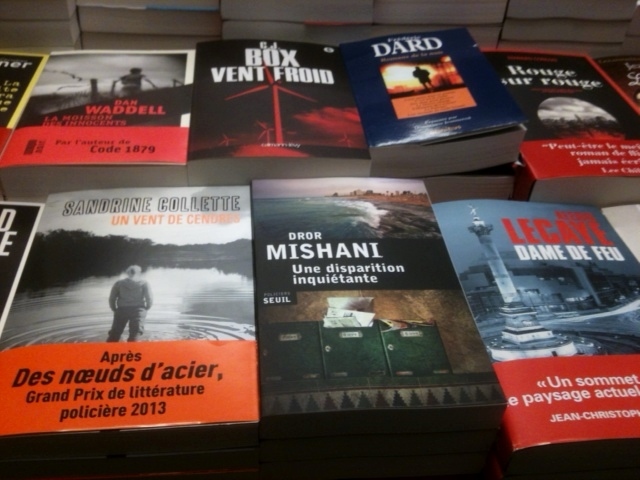 The prize’s jury, comprised of 40 readers and 20 independent bookshop owners, has chosen “Une Disparition inquietnate” to be the best thriller of 2015 out of a shortlist of 9 novels. Among previous winners of the prize: Tana French, Thomas H. Cook and Karim Miske. Read the full article in Livreshebdo. – 9\2015 “A Possibility of Violence” no. 2 on the KRIMI-ZEIT list of best crime novels in Germany! “Die Möglichkeit eines Verbrechens”, the German translation of “A Possibility of Violence”, the second Avraham novel, has reached no.2 included in the prestigious KRIMI-ZEIT list of the 10 best crime novels in Germany (see the full list here). The list, published monthly in DIE ZEIT magasin, is chosen by crime experts and lovers from all around Germany. “Die Möglichkeit eines Verbrechens”, translated by Markus Lemke, was published in July 2015 by Zsolnay, an imprint of Hanser. – 8\2015 “A Possibility of Violence” on the KRIMI-ZEIT 10 best crime novels in Germany! “Die Möglichkeit eines Verbrechens”, the German translation of “A Possibility of Violence”, the second Avraham novel, is included in the prestigious KRIMI-ZEIT list of the 10 best crime novels in Germany (see the full list here). The list, published monthly in DIE ZEIT magasin, is chosen by crime experts and lovers from all around Germany. 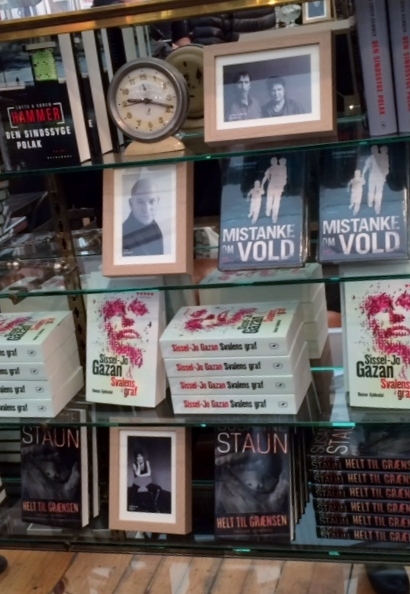 It’s the 2nd time that a novel in the series in included in KRIMIZEIT, after “Vermisst” (“The Missing File”) was a part of it for 3 consecutive months. 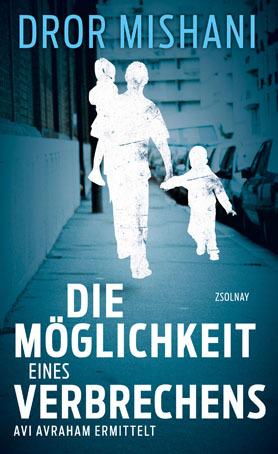 “Die Möglichkeit eines Verbrechens”, translated by Markus Lemke, was published in July 2015 by Zsolnay, an imprint of Hanser Verlag. “The Man who wanted to know”, the new Avraham novel published earlier this week in Hebrew (by Achuzat Bayit), is recieved with raving reviews. “Mishani weaves the story with perfect style”, wrote today Talma Admon in Israel’s weekly magazine MAARIV, “but beyond his superbskills in plot-contruction he bases the story on his great sensitivity to the human soul“. 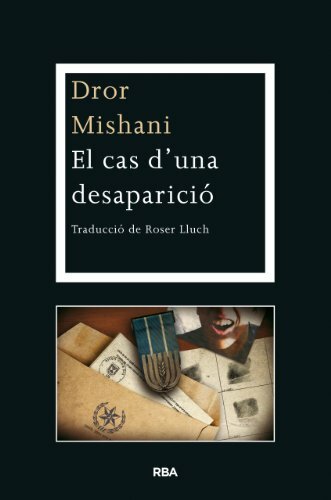 Yesterday, literary critic Ran Binun wrote in Israel’s leading newspaper, Yediot Ahronot: “In a country with truly a few successful crime series, Dror Mishani’s novels are a literary mircale, and each new novel in the Inspector Avraham series is a celebration for the readers. This is true for the third novel as well”. Earlier this week Anat Bar-Lev Efrati praised the novel in LAISHA women’s magazine: “Mishani did it again (…) Like the first two novels in the series, he wrote a clever thriller that you read very very quickly but that once you’ve finished, you can’t forget”. – 5\2015 “The Man who wanted to know”, the third Avraham novel, is now out in Hebrew! 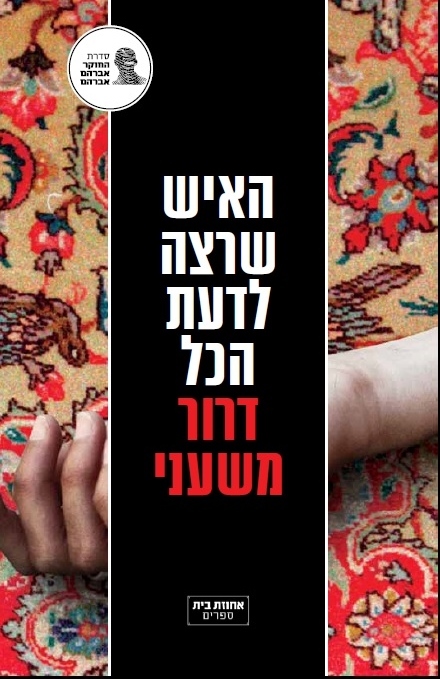 “The man who wanted to know”, a sequel to Dror A. Mishani’s international bestsellers, “The Missing File” and “A Possibility of Violence“, is now out in Hebrew (published by Achuzat Bayit). “The man who wanted to know”, the third Avraham novel, is the most daring in this acclaimed crime series so far. Called on a stormy day to his first murder scene as the new commander of investigations, Avraham is astounded to discover he knows the victim: a middle-aged woman who had been assaulted in the past. His only lead is an eyewitness claiming he saw a policeman going down the building’s staircase a few minutes after the murder. Eager to solve his first murder case, Avraham is determined to follow this lead even though it puts him in conflict with the entire police force. It’ll take him to another strange crime scene, with only an umbrella as a clue, and then to Mazal Bengtson – a young woman who doesn’t know anything about the murder yet is to change everything Avraham thought about the case. Told through the alternating perspectives of Inspector Avraham and a woman fighting to be freed of her tortured past, “The man who wanted toknow” is a haunting investigation of marital life gone wrong, and at the same a heart-breaking story of enduring love, endangered by death and unthinkable desire. I hope you’ll all be able to read it in other languages soon! This weekend I’ll be attending the Quais du Polar, one of the most exciting crime fiction festivals in the world, taking place every year in Lyon (27-29 March). The festival’s program is here and I look forward to meeting you there! – 3\2015 A big day for Inspector Avraham in France! 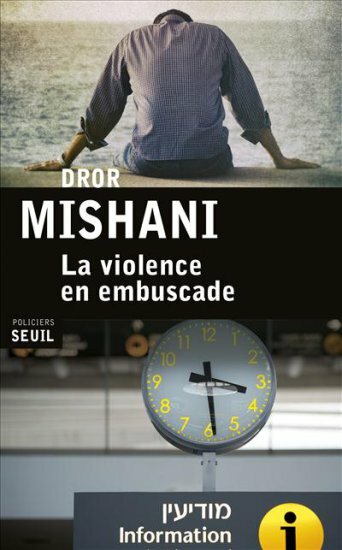 It’s a big day for Inspector Avraham Avraham: “La Violence en embuscade”, the second novel in the series, is published today in French (by Editions du Seuil), while the first, “Une disparition inquietante”, is out in Poche format (Points). Both novels are translated by a true master: Laurence Sendrowicz. Merci Laurence! 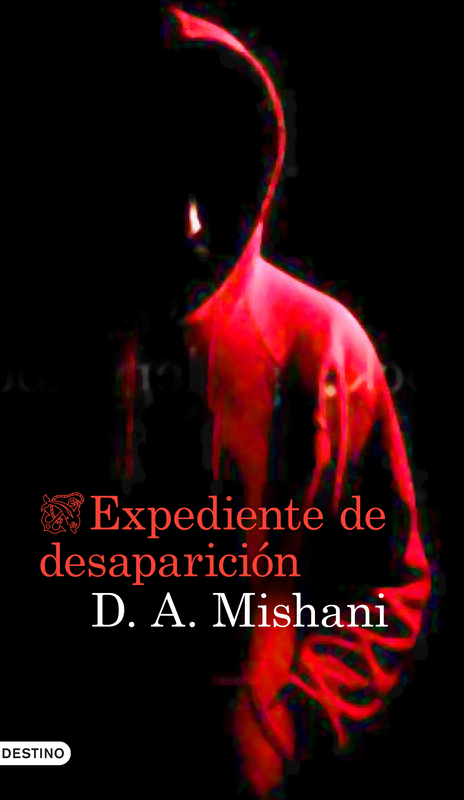 The first Avraham novel, “The Missing File”, is available now in Spanish too. It’s published by Ediciones Destino, translated by Marta Alicia Lapides Sercovich, and is called “Expediente de desaparicion”. disfrutar! 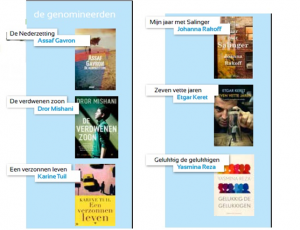 The Dutch translation of “The Missing File”, the first Avraham novel (“De Verdwenen Zoon”; Translaed by Ruben Verhsselt and published by De Bezige Bij Antwerp), is shortlisted for the Wizo prize for Jewish litearture in the Netherlands. The winner of the prestigious prize will be announced on 2015, and the other novels on the shortlist are by writers Etgar Keret, Yasmina Reza, Assaf Gavron, Joanna Rakoff and Karin Tuil. In 2014 the award-winner was Israeli novelist Amos Oz. To read more press here. 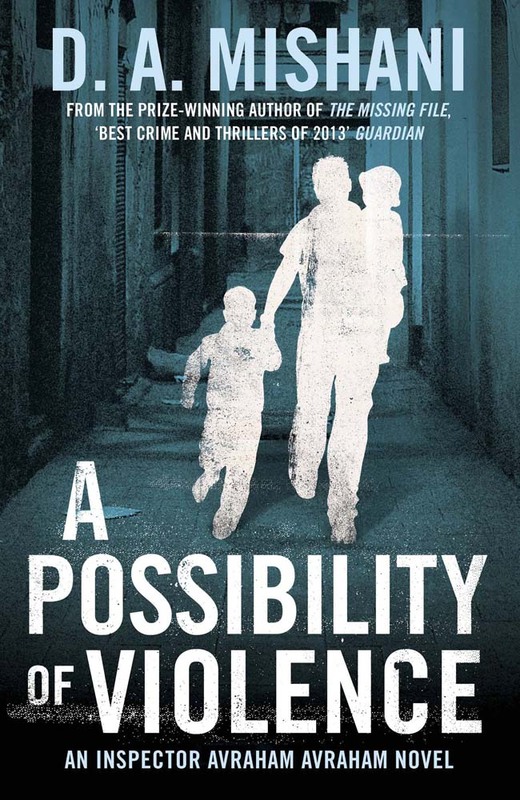 – 9\2014 “A Possibility of Violence” now available in Poland, the Netherlands and the UK! “A Possibility of Violence”, the second Avraham novel, is now available in Polish and Dutch translations – and in the UK too. 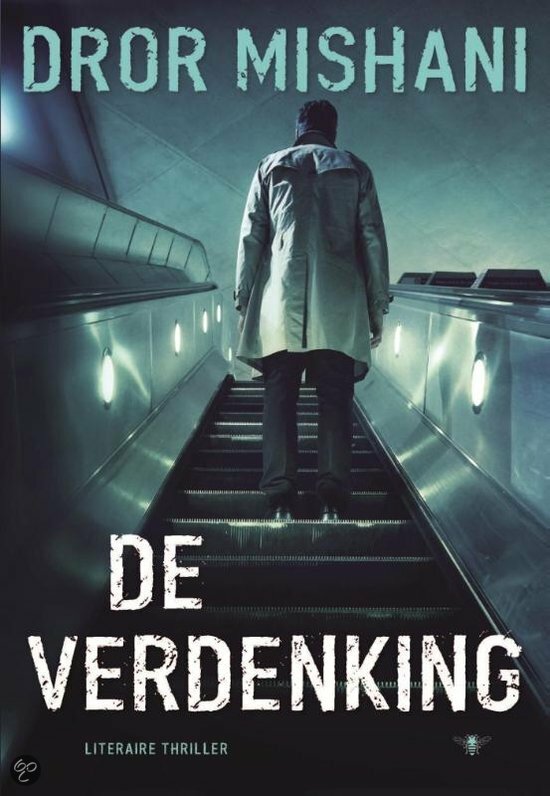 In Poland the novel is published with Mroczna Seria (Serie noire) under the name “Mozliwosc przemocy”, in the Netherlans with De Bezige Bij Antwerp under the name “De Verdenking” – and in the UK with Quercus. “A Possibility of Violence”, the second Avraham novel, will be published in the US on July 1st (HarperCollins; Translated by Todd Hasak-Lowy), and is already recieved by excellent (starred) reviews. PW called it “a stellar seuqel”, claiming that “Mishani makes good use of his study of the genre to create another psychologically complex case, in the process deepening his lead character”. Kirkus, in another starred review, argues that the novel is “tense yet heartfelt (…) and even more riveting than Mishani’s debut”. And the latest is from Library Journal: “An exceptional police procedural that should appeal to mystery lovers of all types”. A few days ago I read this speech in the opening ceremony of the Jerusalem internationl writers festival (I represented the Israeli writers while Jake Wallis Simons represented the guests). Now, as it appeared in Haaretz.com, you’re invited to read it here too. 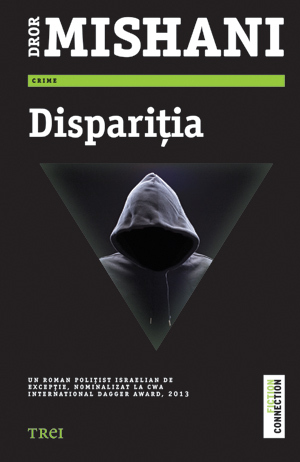 “Cas Obert”, the Catalan translation of the first Avraham novel, is now available. The novel was translated by Roser Lluch Oms and was published by RBA in the noir series, LA NEGRA. “Utsudade Spar”, the Swedish translation of the first Avraham novel (translated by Nils Larsson and published by Brombergs), was awarded with the Martin Beck award – the best crime novel translated to Swedish – yesterday in Sundsvall, Sweden. The award is given by the Swedish academy of crime writers every year since 1971. 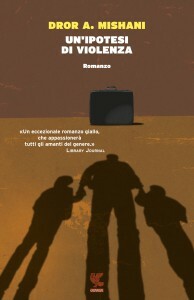 “Une Disparition inquietante”, the first Avraham novel, has been published in France in March (Seuil; Traduction: Laurence Sendrowicz) and is recieving wonderful reviews in the French press. The Swiss daily La liberte is impressed with the “final unsettling twist that subverses the rules of the classic investigation novel”; The Belgian daily Le soir has crowned it the “the new voice of the Israeli crime novel” and Les Echos has dedicated three reviews to the novel, claiming that “Dror Mishani marvelously handles the art of suspense”. According to Le Monde, “Une Disparition Inquietnate” is “a brilliant investigation, full of false leads”. And you can read a French interview for SLATE.FR here. On April 5-6, in Fængslet – the intriguing Old State Penitentiary in Horsens, Denmark – fans of Scandinavian crime fiction will gather for the annual Krimimessen, Denmark’s crime fiction festival that is held every year right before Easter. 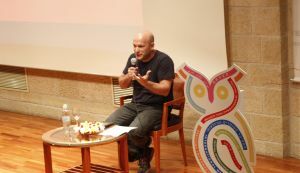 This year the festival will host writers and novels from around the world, including Israeli writer Dror Mishani and his two first novels in the Avraham series: “The Missing File” and “A Possibility of Violence” (recently translated to Danish as “Mistanke om Vold”). 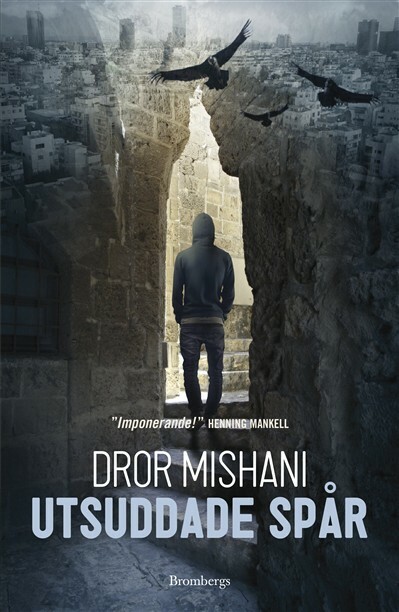 The second Avraham novel, “A Possibility of Violence”, will be published in English only in the summer of 2014 but it is now already available in Danish. “Mistanke om Vold” is translated by Hans Henrik Fafner and Rivka Uzan Fafner and published by Gyldendal. Next week I’ll attend the excellent Danish crime fiction festival KRIMIMESSEN (5-6 April, in Horsens) and will meet my Danish readers in Copenhagen too, in an evening with Sweidh writer Joachim Zander (April 4th). “Naboens sønn”, the Norwegian translation of the first Avraham novel, is published this week in Norway. The novel was translated by Kjell Risvik and is published by Gyldendal Norsk. And the first reviews are great: “A Far above avergae debut crime novel from Israel”, writes the Dagens Naeringsliv. 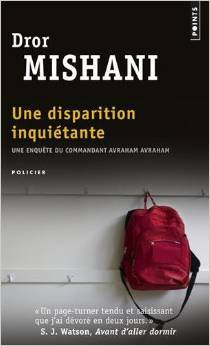 “Une Disparition inquietante”, The French translation of the first Avraham novel, is out today in France. The novel was translated by Laurence Sendrowicz and is published by Seuil Policiers. “The Missing File”, The first Avraham novel, is out in paperback this month in the US, Canada (HarperCollins) and in the UK (Quercus). And Irish crime writer Declan Burke recieves it on the Irish Times: “A subversive take on the standard police procedural with ruminations on the crime novel itself, cross-referencing the work of Agatha Christie and Stieg Larsson with that of Kafka and Dostoevsky (…) With its finely crafted plot constantly confounding expectations, The Missing File marks D. A Mishani out as a writer to watch”. “A Possibility of Violence”, The second Avraham novel (published in Hebrew by Keter Books, May 2013. To be published in English and other languages in 2014), is on the shortlist for the prestigious Sapir Prize, also called the Israeli Booker . It is the first crime novel to appear on the shortlist in the history of the prize. The winner will be announced during a ceremony in Tel Aviv on February 5th and here is a trailer for the novel, made by Israeli channel 2, which will broadcast the event (Hebrew only). The Canadian Chronicle Herald chose “The Missing File”, the English translation of the first Avraham novel, to his marvellous mysteries list of 2013, with novels such as “A Delicate Truth” by John Le Carre and “The Gost riders of Ordebec” by Fred Vargas. 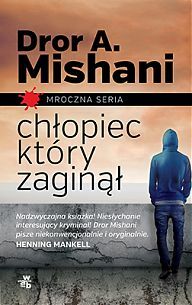 “Missing person novels have been de rigueur since the runaway success of Gillian Flynn’s Gone Girl”, writes the Chronicle’s Joann Alberstat, “but Mishani’s dark and somber debut provides a twist on the theme”. Maybe these mysteries will keep North American readers warm in this very cold weekend. 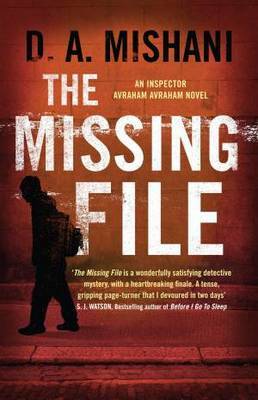 “The Missing File”, the English translation of the first Avraham novel (translated by Steven Cohen and published in the UK by Quercus), is among the Guardian’s best crime novels of 2013, alongside “Norwegian by Night” by Derek B. Miller, Roger Hobbs’s “Ghostman” and ASA Harrison’s “The Silent Wife”. “An Assured debut, with a wholly unexpected resolution”, writes Guardian’s Laura Wilson. – 11\2013 “Utsuddade Spar”, the Swedish translation of the first Avraham novel, wins the Martin Beck award! “Utsuddade Spar”, The swedish translation of the first Avraham novel (Brombergs Bokforlag; translated by Nils Larsson), is the winner of the 2013 Martin Beck award, the best translated crime novel in Sweden. 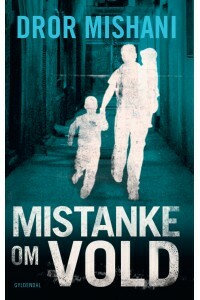 The prestigious award was announced yesterday by the Swedish Academy of Crime Fiction (Svenska Deckarakademin). “Utsuddade Spar” is the first Israeli novel to win the Beck award. Among the previous winners of the prize (given since 1971) are John Le Carre, Sebastian Japrisot, Karin Fossum, Arnaldur Indriadsson, Deon Meyer, Denise Mina and Peter Robinson. “A Possibility of Violence”, The second Avraham novel (published in Hebrew by Keter Books, May 2013. To be published in English in 2014), is on the longlist for the prestigious Sapir Prize (The Israeli Booker). “The Missing File” appeared on the longlist in 2012 – the first time for a crime novel in the history of the prize. “A Possibility of Violence” is the second. The shortlist will be announced on November 24th – and the winner of the prize in February 2014. The Swedish crime fiction academy has announced the shortlist for the best Swedish crime novel of the year and the best novel in Translation. “Utsuddade Spar”, translated by Nils Larsson and published by Brombergs, is nominated for the prestigious prize (also known as the Martin Beck award) alongside Jo Nesbo, Gillian Flynn, Ferdinand Von Schirach and S. J. Bolton. The winners will be announced on November 23rd. After August and September, The novel was chosen again for the October list of the magazine DIE ZEIT, that praised it as “highly sophisticated, Impressive debut”. 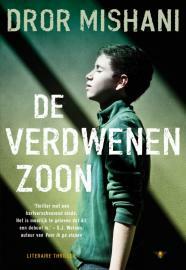 The Dutch edition of the novel, DE VERDWENEN ZOON (translated by Ruben Verhasselt), is published by De Bezige Bij Antwerp; The Romanian edition, DISPARITIA (translated by Luminita Gavrila) is published by TREI. You can already read the first Dutch interview, with Maryse Vincken, here. And then it’s a great honor to be reviewd In Dast Magazine by Swedish crime writer Jean Bolinder, who writes this: “Every year, I read hundreds of translated crime novels. They may be bad, they can be incredibly good, but they are all fairly similar. It’s rare that you find something truly original. This is such a novel. It crawls under your skin and stays there for a long time”. – 9\2013 “Vermisst”, The German edition of the first Avraham novel, is on the Krimi-Zeit 10 most important thrillers in German for September too! – 9\2013 The First Avraham novel is now available in Polish and Swedish too! 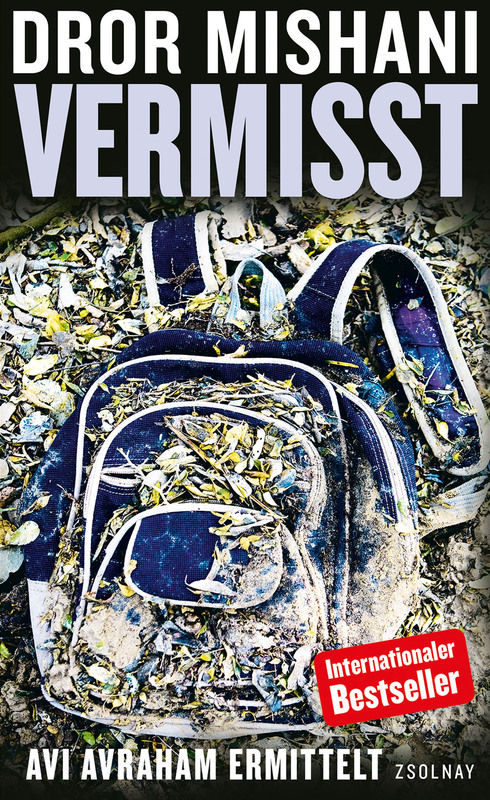 – 8\2013 “Vermisst”, the German edition of “The Missing File”, is on the August Krimi-Zeit list – the 10 best crime novels in Germany, Austria and Switzerland, chosen by Die Zeit Magazine! – 8\2013 “The Missing File” is one of ten excellent International thrillers on the Barnes and Noble review summer list. – 6\2013 “The Missing File” is shortlisted for the 2013 CWA International Dagger award! Toutes mes félicitations, cher Dror pour ce prestigieux prix Martin Beck!! Just finished the fantastic 3rd and 2nd books of detective Abraham Abraham’s serie. It took me 2 days to swallow them both, like hot bread from the oven. The only problem is that I read the 3rd book first, then the 2nd which appears to be a huge spoiler to the 1st one! Regardless the above, I intend to take a five minutes coffee break and dive into the first/last book! For those who hadn’t start the serie I strongly suggest to read in the right order. And to Dror I salute you, wonderful job, keep writing, כל הכבוד! All the prices and evaluations are clear marks of the quality of your novels. I´m impatiently waiting and looking forward to the english issue of “The man who wanted to know everything” ! I’ve finished your “Un’ipotesi di violenza” (the italian edition of Efsharut shel Alimut) just in this moment and I’ve to write to you i loved this book and his story. Your great. I’m a crime writer too and of course i’ve a stone heart but i cried. Good job, now you have another fan in Italy. What else to say ???? Congratulations again and again ! Let them hurry with the english issue of “The man who wanted to know” !! Thanks dear Zdenek. The english translation will be available in June! I have enjoyed reading your three novels and look forward to all future books. When scientists treat words like data, clues to the real-life mysteries of human aging are found in the writings of Agatha Christie. Spoiler – Linguists analyzed her first 29 (I think bot don’t remember exactly) novels and found a certain number of different English words.in all the books. From novel 30 until her last novel (was it 35?) the number of words became smaller and smaller. It can be interpreted today as Alzheimer’s, which no one knew about while she was alive. One of the late novels even has a detective who forgets things and admits it. The podcast claims this was her hint at losing her memory. You just might like listening to the entire podcast. .
Il y a des livres dont on comprend dès la première page qu’on va adorer sa lecture. Après avoir acheté “Une disparition inquiétante” tout à fait par hasard, en cherchant un nouvel auteur à découvrir, je me suis plongé dans ce premier opus, et comme je le disais d’entrée, j’ai compris avant de passer à la page 2 que j’allais devenir fan. Les 2 seules autres fois où cela s’était produit, c’était avec “La cite des Jarres” de Indridason et “La vérite sur l’affaire Harry Quebert” de J. Dicker. D’ailleurs, et c’est à prendre comme un compliment, je vous considère comme le Arnaldur Indridason israélien (pour des raisons qui prendraient trop de temps à développer ici). Il ne me reste donc qu’à débuter “La violence en embuscade” pour avoir confirmation (mais je n’ai guère de doutes) que vous entrez au Panthéon de mes écrivains favoris.